You cannot love America, Jews and Israel and have the close advisers and friends the Clintons have gathered around them. The writer has a B.A. in 20th century European History and a Masters in International Relations from The City College of New York. He is a staunch Zionist and has been writing articles on Israel and Jewish concerns for 40 years, blogs at Israeli Advocate. Many of us have grown up under the admonition of our parents, you are judged by the friends you keep. Regarding Israel, never has this adage rung more succinctly than regarding President Obama’s relationships with his former pastor, Rev. Wright; Valerie Jarrett; Van Jones; and a host of others within his administration disinclined toward the Jewish state. Unfortunately, multitudes of Jews who voted for the current president, not once but twice and now rue the day on which they did so, may be about to make the same mistake. Huma Abedin: Having locked up her nomination to head the Democratic ticket in early June, a cry rang out in the Brooklyn Navy Yard’s Duggal Greenhouse where thousands cheered her name. “Ladies and gentlemen, please welcome our next president of the United States, Hillary Clinton!” The claim was made by none other than, Huma Abedin, Hillary Clinton’s closest assistant, adviser, and professional confidante for over two decades. During Bill Clinton’s administration, Abedin applied for a coveted White House internship; fortunately for her that never materialized but she was instead stationed in the office of the First Lady. Her rise to power and dedication to Clinton is no less miraculous. From intern to deputy Secretary of State and today widely assumed chief of staff or Secretary of State should Clinton win the presidency. • For 12 years Abedin was the assistant editor of the Journal of Muslim Minority Affairs, a pro Muslim Brotherhood publication founded by her father, Syed. • Her mother, Saleha has an especially strong Islamist resume. She leads a group called the International Islamic Committee for Women and Child, a subsidiary of a Muslim Brotherhood-led group that is banned in Israel for its links to Hamas. It doesn’t stop there. The Clarion Project published a comprehensive, annotated article entitled, ‘Extremism Found in Journal During Huma Abedin's Tenure.’ It should be an eye opener to friends of Israel as to the real loyalties Clinton’s closest adviser. Sidney and Max Blumenthal: If Huma is Hillary’s right hand person, then Sidney; the father of virulent anti-Semite Max is right up there with her. He was a senior adviser during Bill Clinton’s presidency and served again as senior adviser for Hillary’s failed 2008 run for the White House. For those who doubt her trust in his opinions, his paid salary of $10,000 a month from her should dispel any diffidence. Does today’s Presidential candidate repudiate his advice? Clinton responds and writes in an email sent earlier that day, asking Blumenthal if she should also mention “private” analysis by Israeli scholar and rabid leftist Uri Avnery, who is a fierce critic of Israel’s current policies and right-wing government. Failing a prompt response she demands a memo from him on how to best paint JStreet while demeaning the Netanyahu government before AIPAC. This is not a matter of conjecture. Follow this recently unclassified U.S. Department of State link, it’s an eye popping, indisputable window into Hillary’s true feelings on Israel. But the 'coup de grace' as to the inner workings and thoughts of the elder Blumenthal and his influence on the former Secretary of State is his relationship and non-repudiation of his baneful, Jew hating son Max. 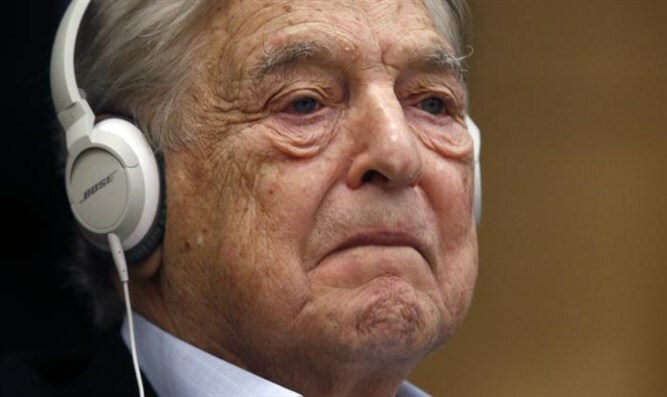 Soros: “European anti-Semitism is the result of the policies of Israel and the United States.” He has also said that “America is the gravest threat to world freedom." Written In a footnoted piece, “Hillary's Email Trail of Troubling Anti-Israel Conversations" for Observer News and Politics, Rabbi Shmuley Boteach quotes many more emails the current nominee would rather supporters of Israel not see. George Soros: Whereas Huma Abedin is potentially Hillary’s Secretary of State or Chief of Staff if elected; Sidney Blumenthal, a stalwart adviser and his son Max will likewise play a prominent roles in a her administration; none can wield the economic power and support given to her by another close “friend,” billionaire Israel-bashing George Soros. Newly released WikiLeaks emails disclose that Clinton was advised by campaign manager John Podesta, to do fundraisers simply to make Soros “happy.” According to the private documents, which have now been published online, Soros and his network are engaging in subversive tactics in an effort to “hold Israel accountable” for its supposed violations of international law. By secretly dispersing his money to influence politicians and the media, Soros hopes to drive a wedge between America and Israel without anyone noticing. And let’s face it, the $25 million he has thus far donated to the Clinton campaign can buy a lot of influence. According to the leaked emails, Soros, as far back as 2011 made his policy wishes known to Clinton via Michael Vachon, an adviser and spokesman for Soros, who frequently emailed John Podesta to schedule phone calls and meetings and relay his boss’ policy positions. Some of which are succinctly revealed in a speech he gave in front of the Jewish Funders Network where he said “European anti-Semitism is the result of the policies of Israel and the United States.” He has said that “America is the gravest threat to world freedom” and generally stands against many Western interests. To those that view the Democrat party as a religion and not just a party the aforementioned is water off the back of a duck. But for Christians and Jews that support Israel and Jewish concerns the facts outlined in this essay are irrefutable. Reference to Tim Kaine’s support of JStreet and a host of other characters that hold sway with her. Hillary Clinton is no friend of Israel.